The first course I ever taught in seminary was on the Gospel of John, at Gordon Divinity School in the fall of 1958. Nothing I had taken in graduate school prepared me for it. Ned Stonehouse, my mentor at Westminster Seminary, had written on The Witness of Matthew and Mark to Christ, and The Witness of Luke to Christ, but never got around to John. Krister Stendahl, my mentor at Harvard, was preoccupied with Matthew, and in fact a couple of my early publications dealt with that Gospel. But at Gordon the synoptics were already covered by Glenn Barker’s course on the life of Jesus, so a course on John (which was assumed to have less to do with “the life of Jesus”!) was what was needed. My resources, therefore, were books rather than personal mentors, in particular C.H. Dodd’s The Interpretation of the Fourth Gospel (1953), and C.K. Barrett’s commentary on John (1955). Those two works set me on a course I have followed ever since: deal with the text as you find it, come what may, and don’t try to rewrite it to fit your notion either of what it ought to be or what it “originally” might have been. Others I discovered, whose work I respected and from whom I learned a great deal, did things differently, notably (and in varying degrees) Rudolf Bultmann, Rudolf Schnackenburg, and Raymond E. Brown, accenting certain sources behind the Gospel as we have it, later redactions added after it was in some sense finished, and possible displacements in the narrative. For Bultmann this amounted virtually to rewriting the Gospel. It was rather less so with the other two, but they all had in common a bold confidence that they knew and could recognize what was quintessentially “Johannine” and what was not, and that they knew what a truly coherent narrative must look like. I marvel that Raymond Brown was able to, even at the tender age of thirty-eight in 1966, when the first volume of his commentary appeared. 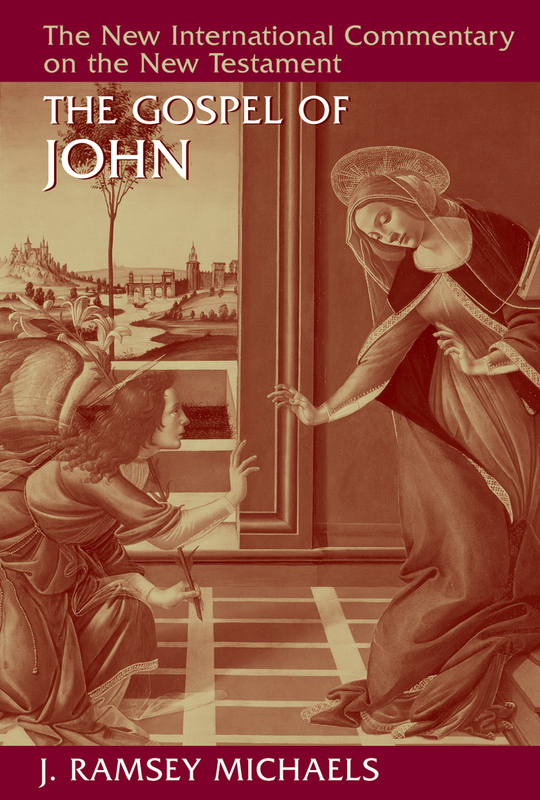 His five-stage theory of the development of the Johannine tradition represented a brilliant attempt to do justice both to the sources and to the finished Gospel, but I was never sure which truly represented the actual finished Gospel, the work of “the evangelist” (Stage 4) or the work of “the redactor” (Stage 5). I was never able to develop that degree of confidence, and I think my limitations in this respect have served me well. Dodd succeeded in doing justice to the traditions, written and oral, in his second volume ten years after the first (at the age of seventy-nine! ), Historical Tradition in the Fourth Gospel, but nothing that he said there compromised his basic conviction of the essential unity and integrity of the Gospel as it stands. For my part, I had a brief flirtation with this inordinate interest in sources and traditions. On sabbatical at Göttingen in 1970-71 I wrote a monograph distinguishing two distinct farewell discourses in John, 13:36-14:31 and 15:1-17:26, calling attention to all sorts of subtle differences between them in the manner of Brown and Schnackenburg, but I never succeeded in getting it published (I tried only half-heartedly). In retrospect, I believe my conclusions were mostly right, but largely irrelevant to writing a commentary, so that by the time I finished my commentaries on John’s Gospel (for the Good News Commentary series in 1984, the NIBC for Hendrickson in 1989, and finally the major NICNT commentary for Eerdmans in 2010), they were largely confined to introductory paragraphs and footnotes, where they belonged. The legacy of Dodd and Barrett, not to mention Leon Morris, my predecessor in the NICNT series, was what prevailed. My preoccupation was with the text of the Gospel, the narrative, not with what came before, and not even with the difficult question of how much of it went back to “the historical Jesus,” however defined. That too, I decided, was mostly outside the purview of a commentary. J. Ramsey Michaels is professor emeritus of religious studies at Missouri State University, Springfield, Missouri, and adjunct professor of New Testament at Bangor Theological Seminary, Portland, Maine. He is the author of several commentaries and over two hundred articles on the New Testament.